Third day in Tainan, I started to get sick. Lack of energy to travel far so we just did something more flexible and relaxing; took a walk in the neighbourhood area and shopping. There are shops along the road from Tainan Station, a shopping heaven in Tainan. 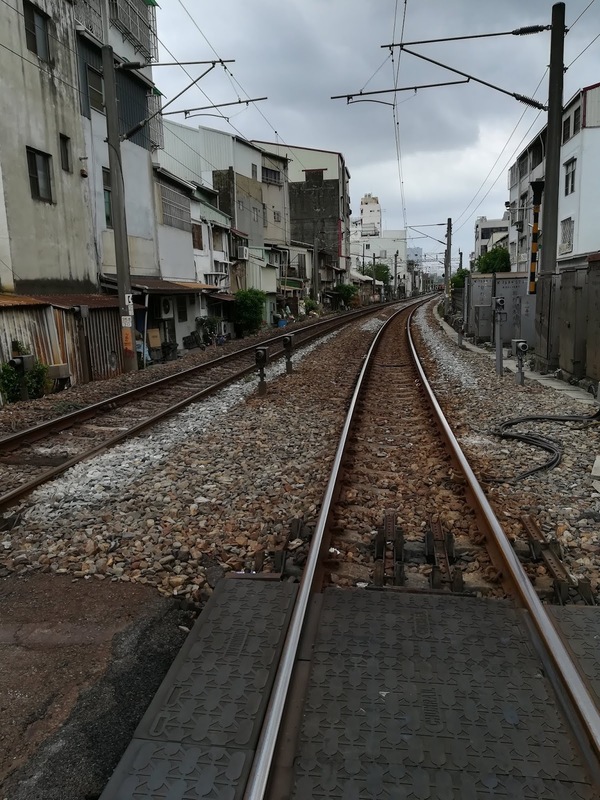 Wandering the area, following the pedestrians to cross the railways. 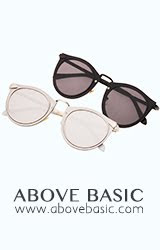 Weimin Street Underpass 衛民街彩繪巷. 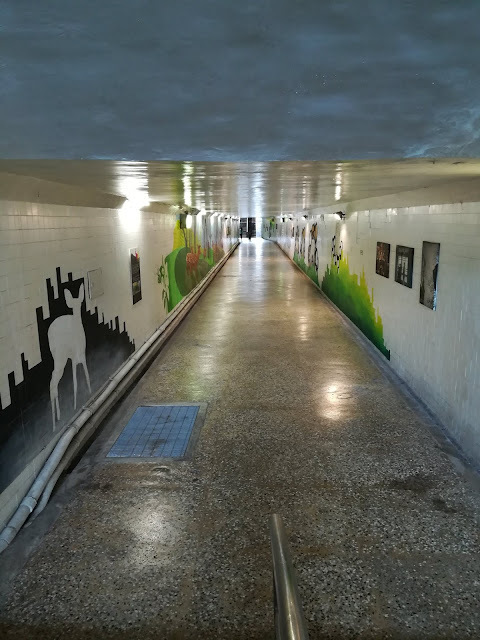 Passed through the entrance of this underpass, decided to enter and explore. The other side of underpass, we saw this building in front of us. 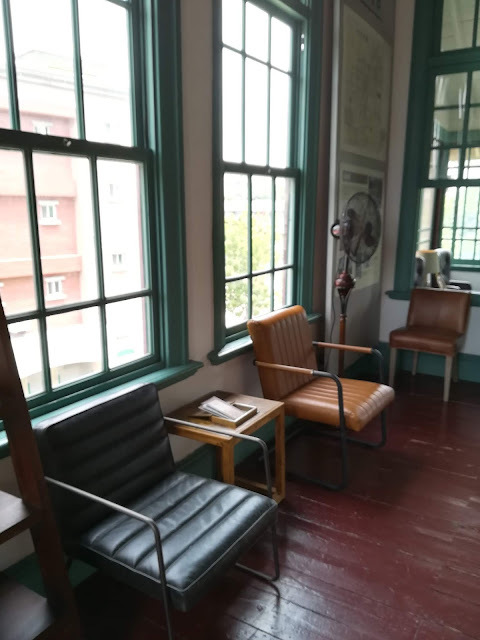 Old Tainan Magistrate Residence 知事官邸. 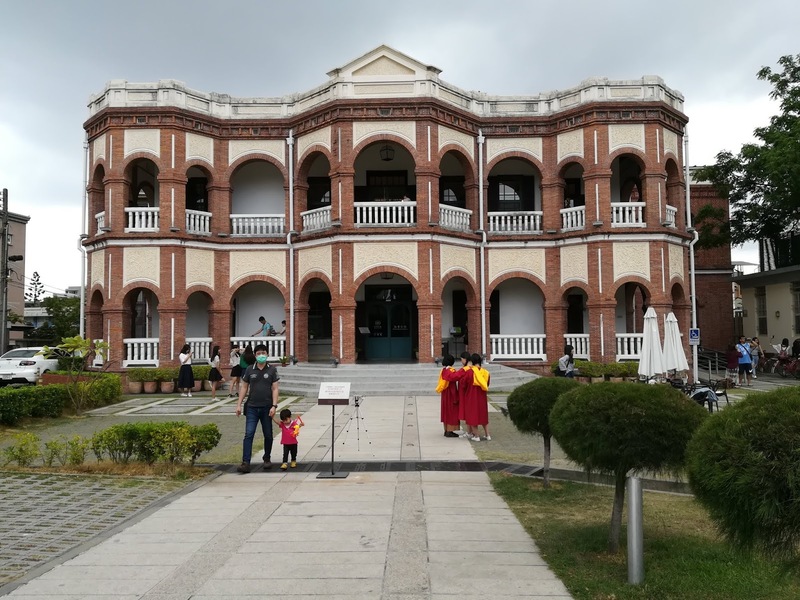 Another historical place in Tainan. 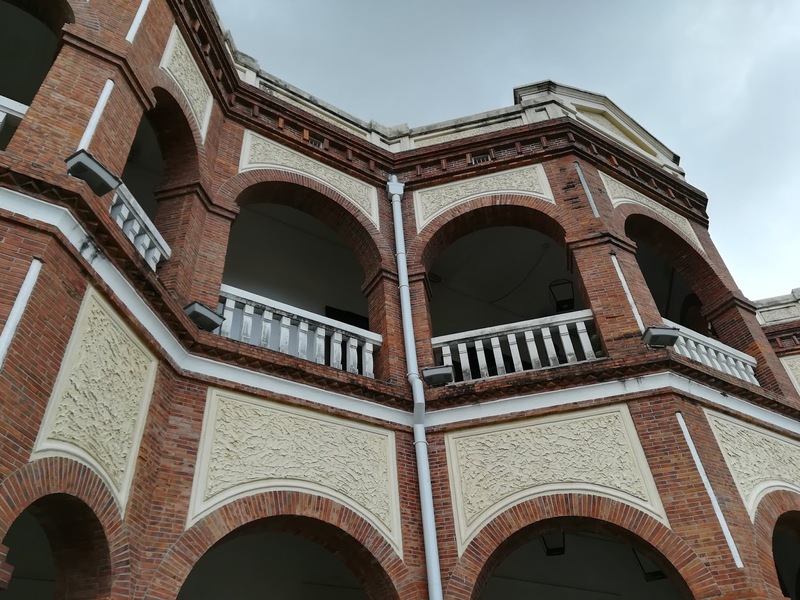 This building was served as a Royal Residence when Japanese Imperial Family members visited Taiwan. The Japanese Prince Hirohito (later Emperor Showa) stayed here before in 1923. Corner of the room which the Japanese Prince Hirohito stayed. 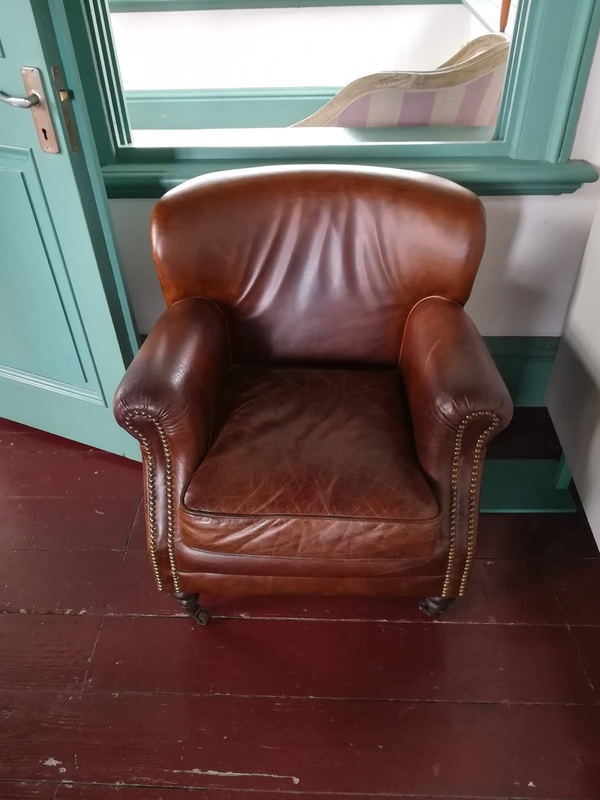 I like the antique chairs so much. If not mistaken, the red bricks were handmade by prisoners. 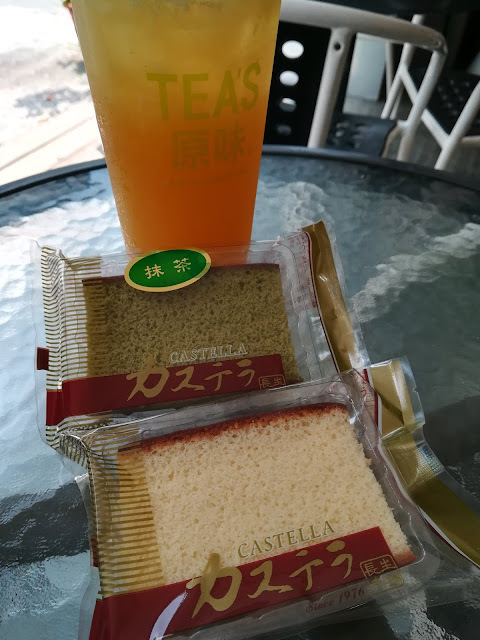 Bought two flavours of Castella cake to try. But it was too sweet for me. We had our late lunch at Far Eastern Department Store (遠東百貨) food court. 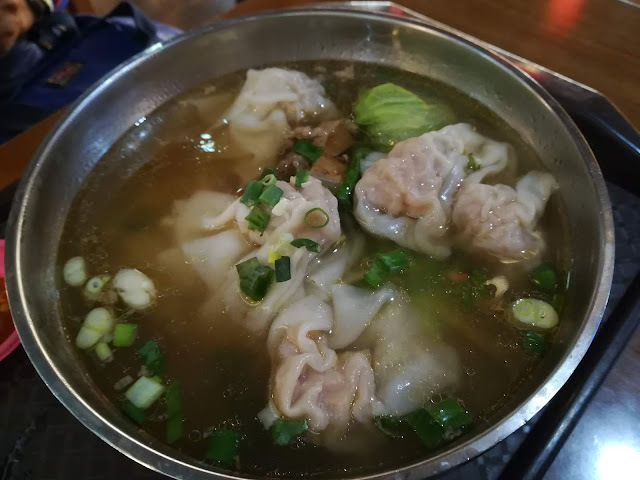 Mum had this wanton soup NT$130. 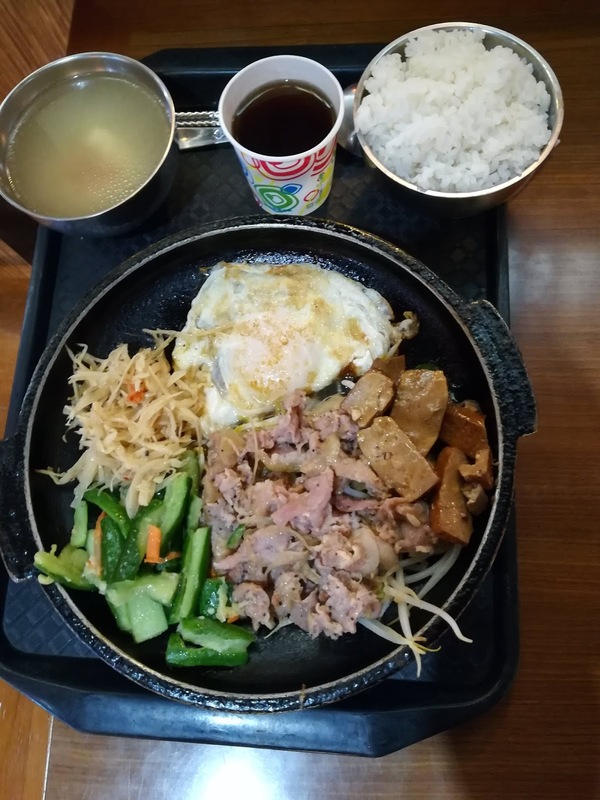 I had the Korean set lunch NT$150. That summed up our day 3 in Tainan. Mum had shopping spree at here. 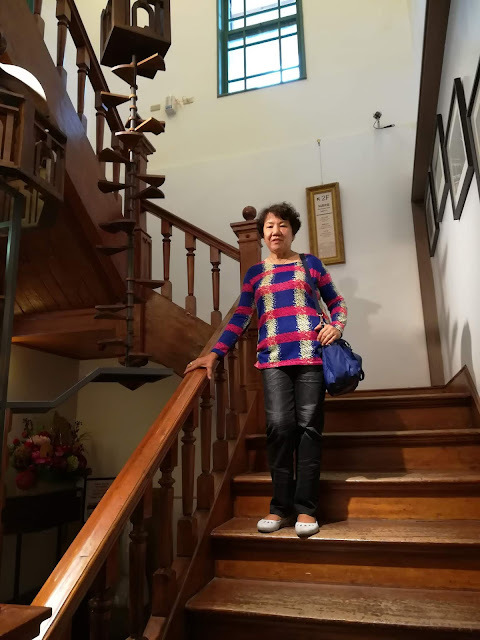 We had an early rest on this day as we'll leave Tainan for Taipei the next day. In the evening time, we went out to hunt for dinner. 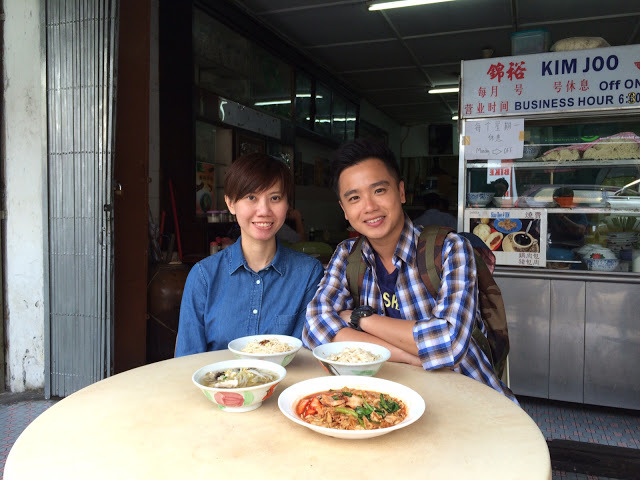 The eating places were so packed during peak hours, guess the food there must be taste nice. We settled our dinner at a "Japanese" restaurant (湯婆婆拉麵) that's quite local and not so authentic ramen. But the price is fairly cheap and they provide a jug of drinks (with three flavours to choose from) for free.